← Great Caesar’s Ghost! A 500 Item Buffet! When I was growing up, I don’t remember my Mom spending long hours with me, teaching me cooking skills and sharing recipes. On occasion, she’d let me help in the kitchen, but “help” usually meant washing and drying dishes, putting them away and sweeping the kitchen floor. I scarcely recall being at my Mom’s elbow, watching her intently, trying to absorb what she was doing. I suspect that, for the most part, I was just under foot. Despite that, I grew up with an appetite for cooking, which I still have. 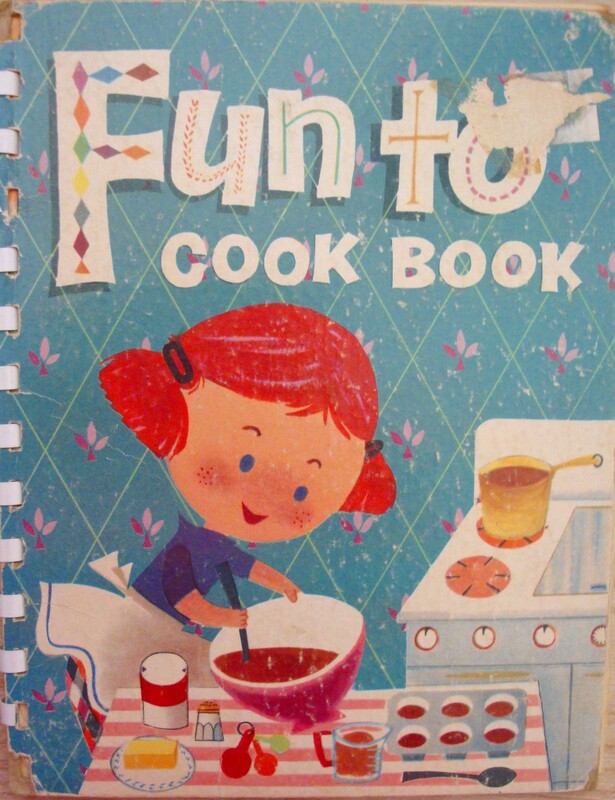 I do remember, though, getting a copy of “Fun to Cook”, published in 1955 by The Carnation Company, and I still have that slightly worn out cookbook. The good folks at www.eatyourbooks.com currently feature a blog (Kids in the Kitchen!, June 10, 2014 by Susie) and it inspired me to dig out my old copy of “Fun to Cook Book”. Supposedly, the book is designed for 7 to 9 year olds. 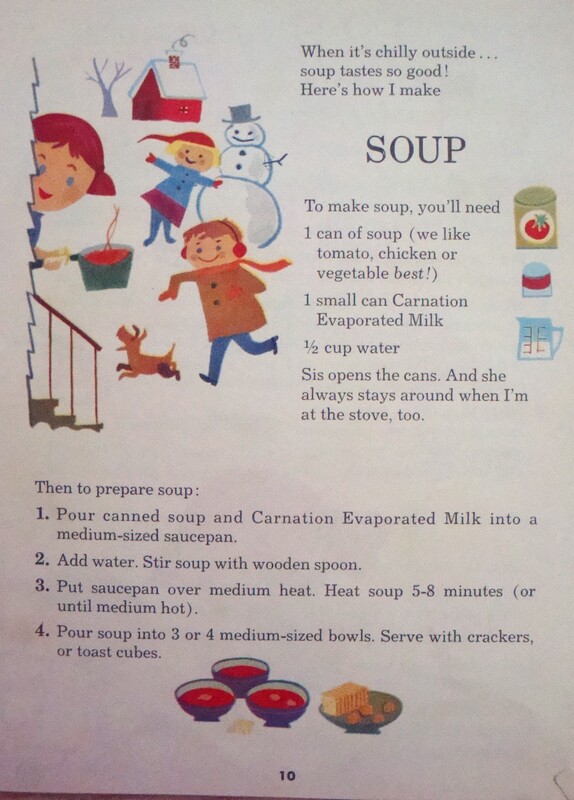 Recipes in the book are pretty simplistic, like “Soup”, using a can of soup, a can of Carnation Evaporated Milk and water. Wow. Awesome. Then there is “Everybody Likes Sandwiches!”, with instructions for making one: place slices of bread side by side, spread with softened butter or margarine, place filling on one side, spread from side to side, place second slice of bread over filling and “…there you have a sandwich!” Of course, toward the end of the book (presumably for the 9 year olds), they venture into mac and cheese, using “quick and easy” cheese sauce (American cheese and Carnation Evaporated Milk). 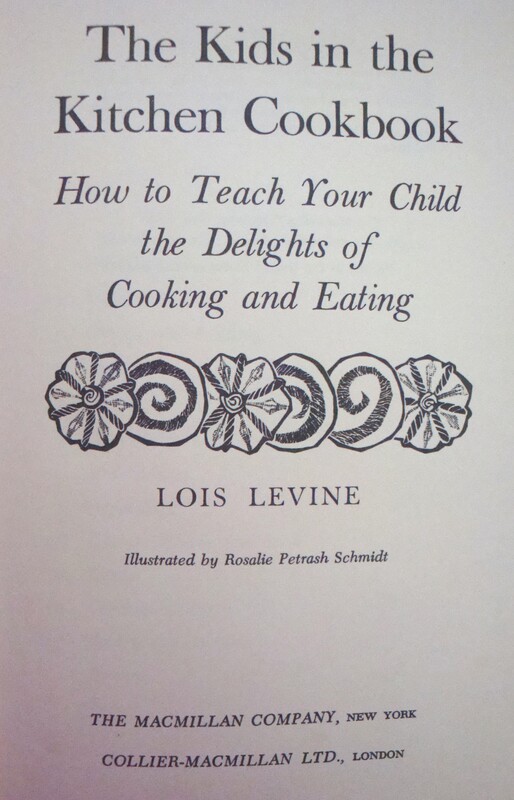 I also have two other “kids” cookbooks in my collection: “The Kids in the Kitchen Cookbook” by Lois Levine, published in 1968, and “A Cookbook for Girls and Boys” by Irma S. Rombauer of “Joy of Cooking” fame. The book was published in 1952. Ms. Rombauer doesn’t indicate the age group for her cookbook, other than she believes that “boy or girl, young or old – should know something about food values and balanced meals”. Recipes in her book are diverse and range from “Baked Acorn Squash with Sausage” to “Boiled Zucchini in Sour Cream”. Sections include cooking terms and processes, measurements, utensils, serving, table setting and menus, in addition to many recipes. “The Kids in the Kitchen Cookbook” by Lois Levine, was born out of her frustration as a young bride, unable to boil the proverbial pot of water, and who, as a child, grew up in a large household with kitchen help. The author notes that the month prior to her wedding was filled with nightmares about cooking. – recipes stress use of whole wheat flour, plain yogurt, honey, oats, etc. I suppose with so many “instant” foods today, kids probably don’t know how to really cook by imitation. “Heat and serve”, “just add water”, “microwave on high for 5 minutes” aren’t really cooking instructions. On the other hand, culinary arts programs are enjoying immense popularity at the moment, so perhaps there are opportunities there down the road for kids who like to cook! 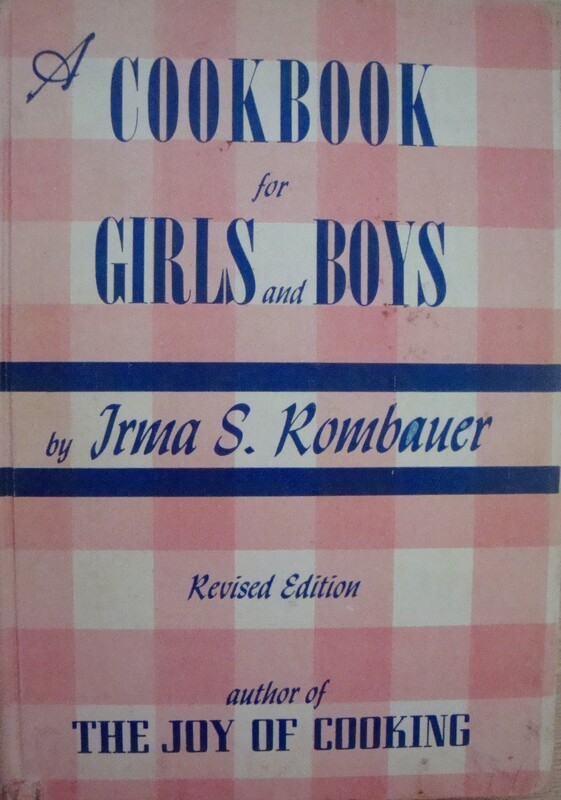 This entry was posted in Cookbooks, Cooking, Cooking and Social History, Cooking Technology, Eating, Food Trends, Menu Planning, Recipes, Uncategorized, Vintage Cookbooks and tagged 1950's, A Cookbook for Girls and Boys, Carnation, cookbooks, Cooking, Cooking with Kids, Fun to Cook Book, Irma Rombauer, Kids in the Kitchen Cookbook, Sue Jimenez, time capsules, Vintage Cookbooks. Bookmark the permalink.